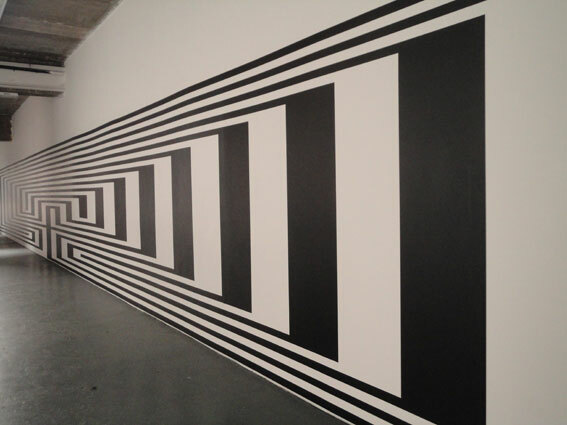 Pattern Power – Superstripe was the first in an ongoing series of annual exhibitions and events organised by the London Patternity agency. 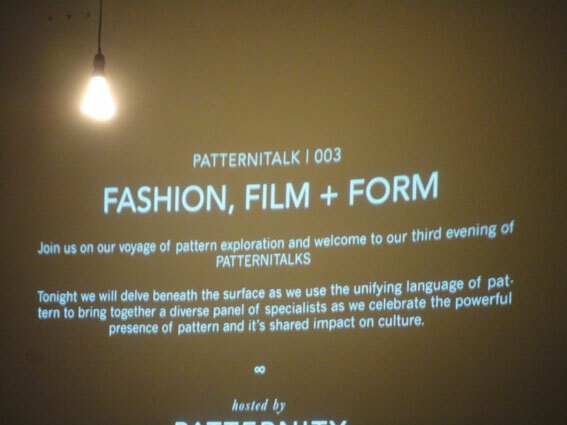 The aim is to explore the powerful presence of pattern and it’s ability to positively connect us all. Fashion, Film + Form talk joined practitioners from the worlds of fashion, film, art and design for an evening of fast paced presentations that explored several different specialisms – and their shared impact on culture. It is about the drive to push the awareness and understanding of pattern. Patternity agency uses unique research archive, design studio and events go beyond the surface, using pattern as a vehicle to engage, educate and inspire. The talks covered a wide area of film makers, editors, and designers with multi-disciplinary approach. Katie Gaudion RCA is a textile designer whose design research celebrates neuro-diversity. Using intuitive and empathic design methods, Katie works with people of all abilities to investigate how harnessing the sensory qualities of materials can improve a person’s experience of their environment.